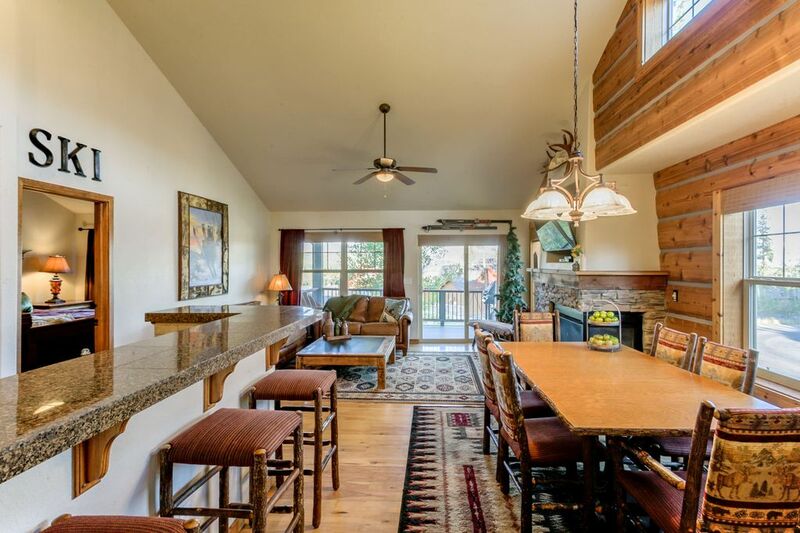 Situated on a hillside only a few minutes drive from town, this elegantly furnished home offers the perfect haven to relax in after an action filled day in the mountains. Unbeatable views, two living areas, fully stocked kitchen & a large dining area make wonderful townhome a perfect choice for large families looking for the optimum in comfort & convenience. Sleeping Arrangements: King bed in master, queen bed in second bedroom, two sets of twin bunk beds in the third bedroom, plus a pullout queen sleeper sofa in the second living area. Sleeps up to 10. Location: Between Winter Park and Fraser; four miles from Winter Park Resort base & lifts. A 100-yard walk to the Red Line shuttle pick up. Nice unit but needs some minor updating. Overall the unit is nice but for the price I would have expected better cookware. Also the bunk beds are very noisy. The unit is showing signs or ware, like the dish washer has seen better days. Some on the plumbing fixtures need to be looked at as well as the seem to be coming loose. Great roomy condo. Plenty of space to spread out and a big hottub!